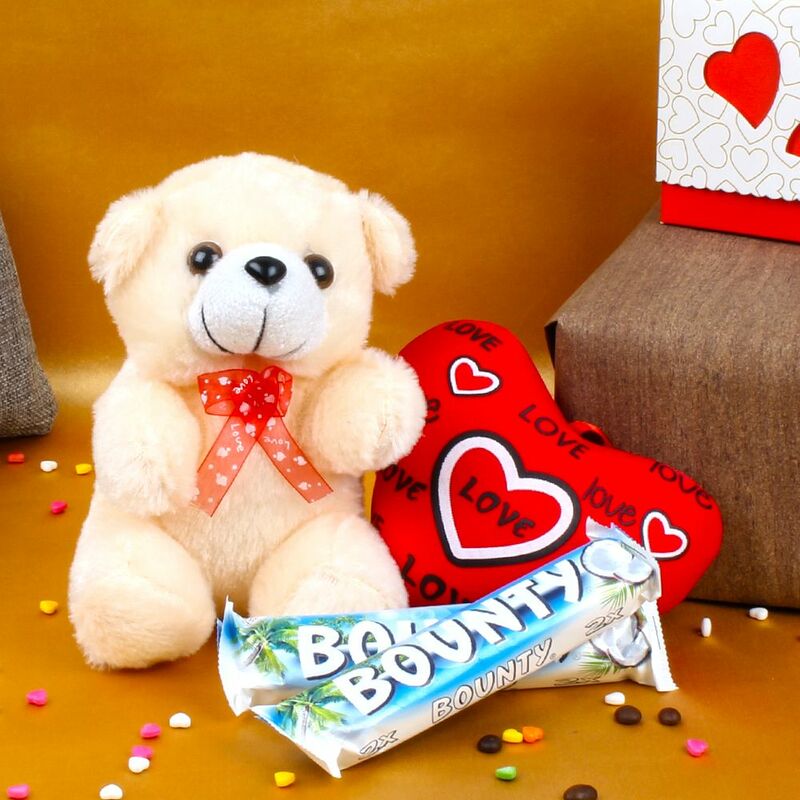 Product Consists : Soft Teddy Bear (Approx Size : 6 Inch), Love Heart (Approx Size : 3.5 Inch) along with 2 Bounty Chocolate Bars (Weight : 57 Gms Each). 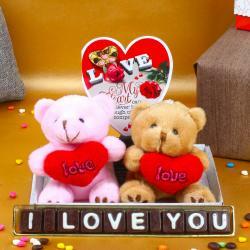 Be ready to watch out for a surprised yet a lovable smile on your sweetheart's face as you gift her /his furry teddy bear. 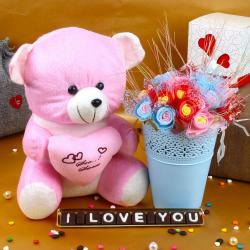 This cute bear adorned with one small soft lovable heart which is represent your love full heart. Delight your love one with imported Bounty chocolate. It is very delicious coconut crush fillers chocolate bars. 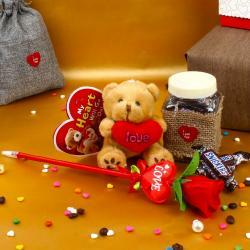 This is best gift hamper ever your love one received and will enjoy sweetness of romance. . 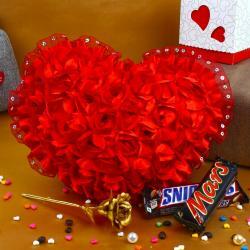 Product Includes: Soft Teddy Bear (Approx Size: 6.5 Inch), Love Heart (Approx Size: 3.5 Inch) along with 2 Bounty Chocolate Bars (Weight: 57 Gms Each).